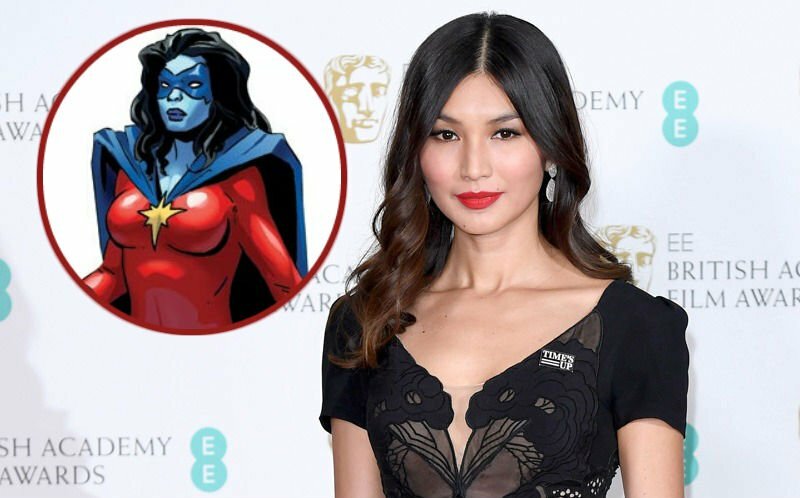 Deadline reports that Marvel Studios will have no shortage of Kree characters in the upcoming Captain Marvel movie with the addition of Gemma Chan (Humans, Fantastic Beasts and Where to Find Them, Transformers: The Last Knight). Chan takes on the role of Kree spy and genetiscist, Minn-Erva, who takes on the human alias of Doctor Minnerva when she infiltrates humanity. The character has similar powers to Carol Danvers’ Captain Marvel which she has used to fight both versions of the title hero. She joins a cast that includes Brie Larson as the title hero along with Samuel L. Jackson as a younger (and two-eyed) Nick Fury, with DeWanda Wise (She’s Gotta Have It), Ben Mendelsohn (Rogue One, Ready Player One), and Jude Law (Sherlock Holmes). The film will be a “period piece” for Marvel Studios and take place in the early 1990s with the Skrulls as the primary villains. Mississippi Grind‘s Anna Boden and Ryan Fleck will direct the Captain Marvel movie, which has a script by Geneva Robertson-Dworet (upcoming Tomb Raider and Gotham City Sirens), Meg LeFauve (Inside Out) & Nicole Perlman (Guardians of the Galaxy). Kevin Feige will produce the film. Marvel Studios’ Louis D’Esposito, Victoria Alonso, and Jonathan Schwartz serve as executive producers alongside Stan Lee. In the regular Marvel Comics continuity, Carol Danvers made her first appearance in 1968’s Marvel Super-Heroes #13. A Security Chief in the US air force, Danvers would later be transformed into the superhero Ms. Marvel following an explosion involving Kree technology. 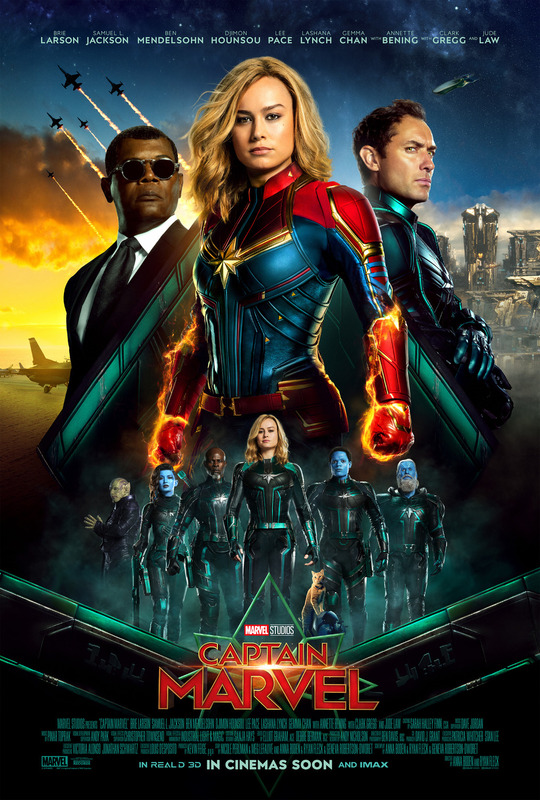 More recently, Danvers took on the identity of Captain Marvel after being “promoted” to the moniker of the former Kree superhero. Captain Marvel is set to hit theaters on March 8, 2019 with Avengers 4 set to follow on May 3, 2019.